Start A Revolution! Dessert First! I am going to challenge you and the status quo with this question: Why would you wait until after you finish your meal to try this symphony of sweetness? Why? I say skip the salad and main course and dive right into this baby! Come on! 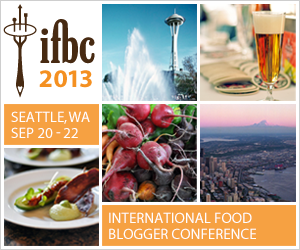 Let’s shake things up! Dessert First! “But Michael, that’s just not proper!” Tell me that after you have tried this. It’s that good! 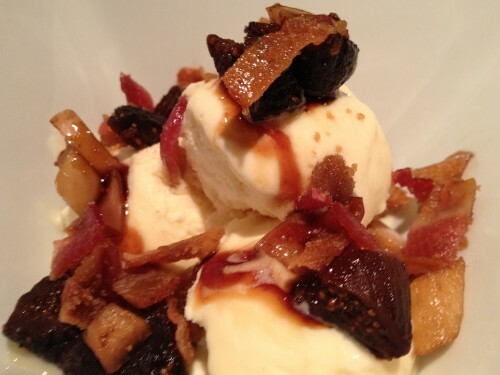 Sweet mission figs and gala apples over vanilla ice cream topped with a maple syrup and brown sugar sauce and candied bacon. Are you kidding me? It’s unbelievable. Place the figs and apples into a small saucepan and add water to cover the fruit about halfway. Stir in the maple syrup, brown sugar and salt. Bring to a boil and let simmer, stirring occasionally, for about 15-20 minutes or until the figs are falling apart and the apples are tender. 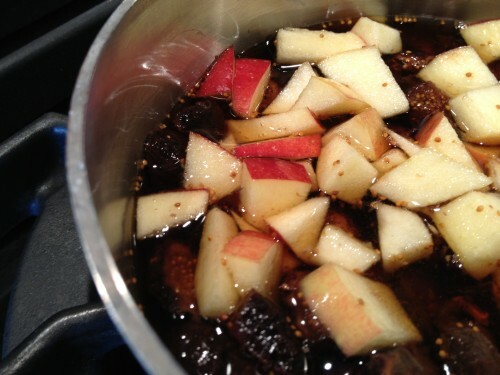 Remove the fruit and keep the liquid simmering over medium-low heat until it’s thick and syrupy. Meanwhile, spread out the bacon on baker’s half sheet. Bake in oven at 400 degrees for 15-20 minutes. Remove from oven and sprinkle with brown sugar, then return to the oven for about 5 minutes. 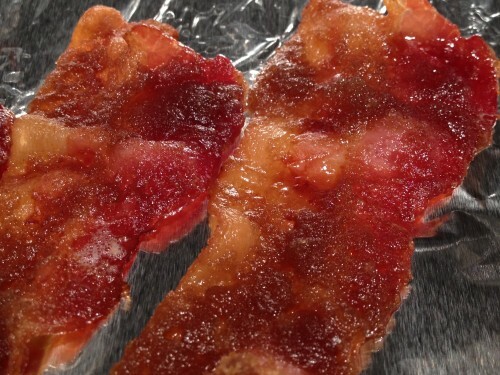 Remove bacon from half sheet and lay on paper towel to drain and cool. Chop or crumble the bacon into bits. 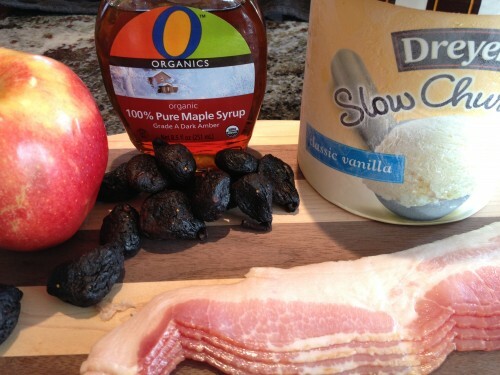 Scoop the ice cream into a dish, top with the fruit and syrup and sprinkle on the candied bacon bits. Things are going swimmingly for these brothers-in-arms, Mission figs and Gala apples. 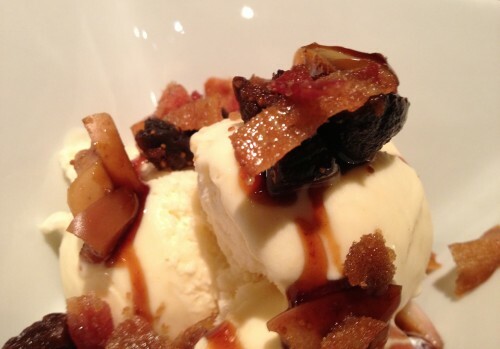 If bacon is meat candy, what then, is candied bacon? Damn good, I’ll tell you that! Served with a dessert wine, Pedro Ximénez Sherry or port, this is worth overthrowing the establishment! Hell, I’m going to have it for breakfast! « Super Easy Bacon Wrapped Eggplant	» Slow Cooked Bacon-Wrapped Apple BBQ Chicken. The Easiest Ever! I have to say this looks and sounds amazing! It is so good, Shelly! Thanks for stopping by The Bacon Hunter — I appreciate it!